We offer a free evaluation of Agilent Technologies 5890, 6890 and 7890 GC oven shrouds. In most cases, GC oven shrouds can be repaired and returned to customers in less than 72 hours. Repaired oven shrouds carry a 90-day warranty. 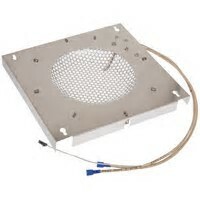 ASAP Analytical also stocks oven shrouds for immediate delivery. As an authorized distributor of Restek, we can also offer new oven shrouds for Agilent 6890 and 7890 GC. Price includes a 1-year warranty.